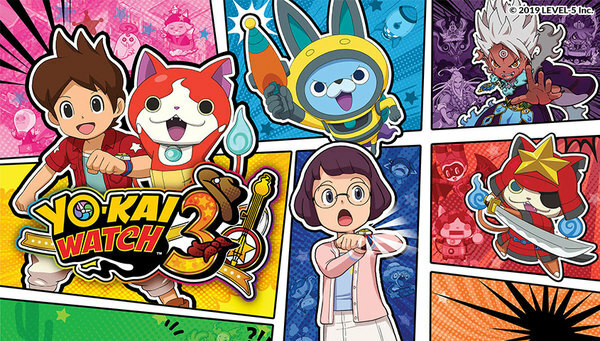 If you want to get some rare Yo-Kai to join the battle in Yo-Kai Watch 3, Nintendo has you covered. They've shared the above tweet, which contains 6 different QR codes for various rare Yo-Kai. Having one of these on your team could make the difference during an intense fight! Mischievous beings known as Yo-kai are everywhere, and it’s up to Nate and Hailey Anne to befriend, battle, and solve problems with them. 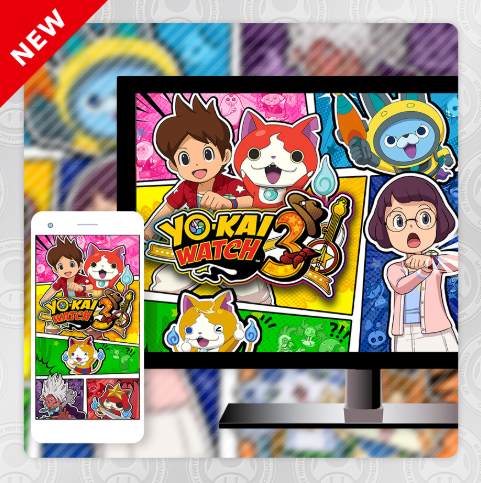 YO-KAI WATCH 3 is available now on the Nintendo 3DS family of systems! A wallpaper for your PC, smartphone and tablet. The wallpaper can be downloaded in eleven different resolutions. 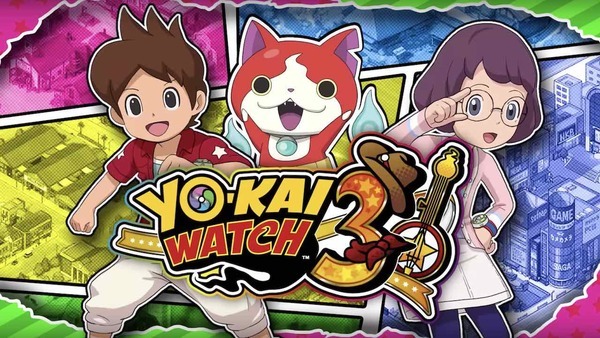 After waiting 2+ years for localization, is Yo-Kai Watch 3 worth the wait? The Yo-Kai Watch series was the hottest thing around in the early days of its existence. Level-5 was riding high on that wave of success, which in turn, sent the series exploding into all different directions. There were Yo-Kai Watch toys, cartoons, movies, and so much more. For awhile there, Yo-Kai Watch was everywhere you looked in Japan. Unfortunately, it seems that insane explosion of Yo-Kai Watch content is what caused the series to cool down so quickly. When it comes to Yo-Kai Watch in the states, there was never really the spark that sent fans into a frenzy. The first game certainly made waves when it jumped across the pond, but things seemed to sputter quickly after that. Still, the franchise has its die-hards here, and it seemingly does well enough to warrant the localization of subsequent titles. 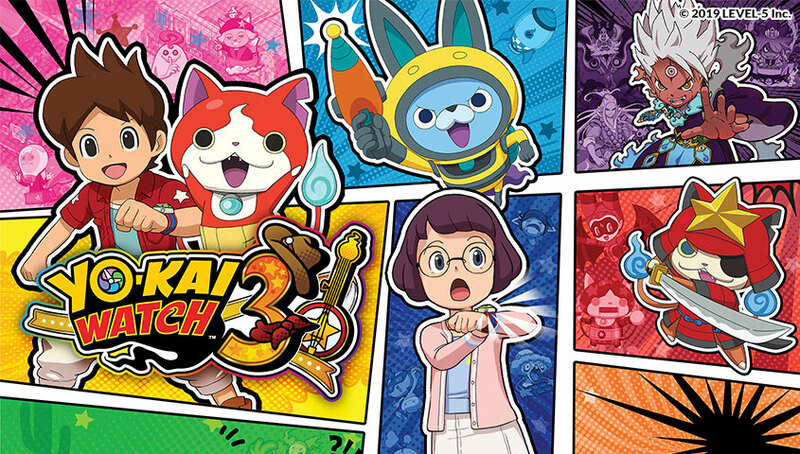 That brings us to Yo-Kai Watch 3, the latest installment to release worldwide. Yo-Kai Watch 3 launched in Japan all the way back in July of 2016. There were two versions made available, and then a third version called 'Sukiyaki' released shortly after in Dec. 2016. In both North America and Europe, we're only getting one version of Yo-Kai Watch 3, and it contains all the content found in the three different versions released in Japan. 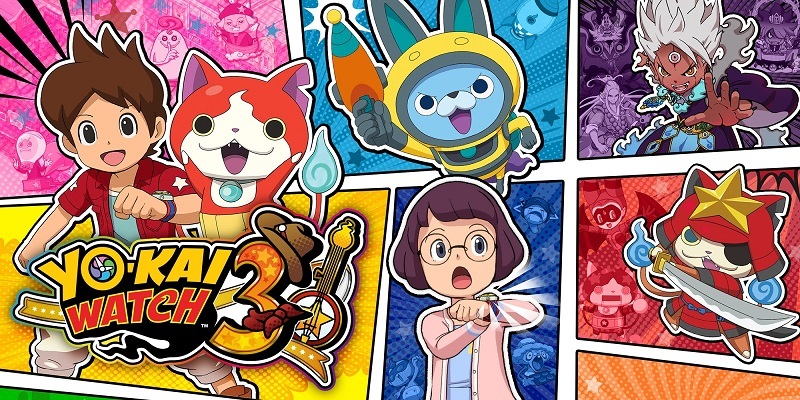 Fans outside of Japan have waited quite a long time for Yo-Kai Watch 3 to be released. Now that it's finally here, was it worth the wait? For those who really love the franchise, the answer should be a resounding yes. For those on the fence or new to the series, it could be somewhat of a tough sell. Nate Adams has been on some crazy adventures in both the Human World and the Yo-kai World. Check out this recap video on some of the adventures from YO-KAI WATCH and YO-KAI WATCH 2 before embarking on his newest adventure in YO-KAI WATCH 3 on 2/8!